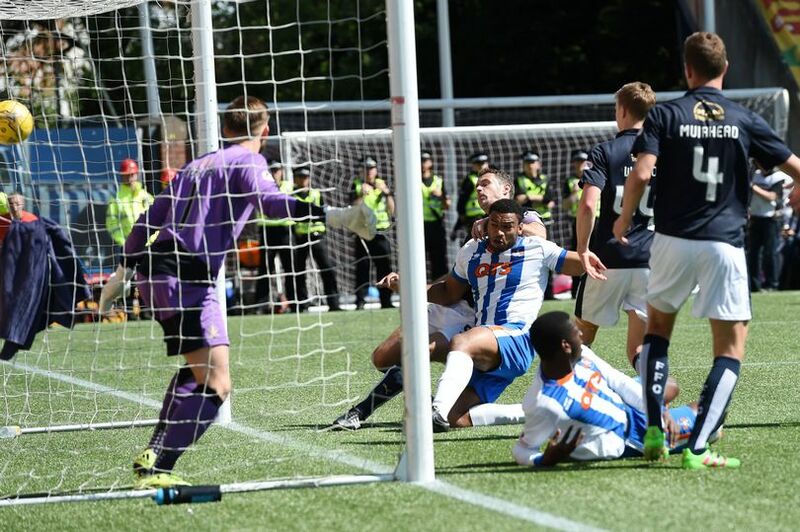 Aug 4th 2015... Our pre-season optimism came down to earth with a crash in the first game of the season at the Theatre of Pies as we were out-thought, out-maneuvered and out-classed by Paul Hartley’s Dundee. The writing was on the wall before a ball was even kicked with chaos reigning supreme as the new ticketing system saw massive queues form outside, many of whom got soaked and missed a chunk of the game and many who simply walked away. The club have since issued an apology, here’s hoping they just rectify the situation before the next home game. Those who made it in must have wished they hadn’t bothered as the players looked like they had never seen each other before and trying to guess the tactics kept me more amused than the game itself. Some of the first team choices were a bit bizarre, I predict that will not be the starting XI in Aberdeen. Bottom of the league with a four-goal deficit…the only way is up! Aug 11th 2015... Technically I was right last week when I said the only way is up...we only lost two goals this week as opposed to four so if that form continues we can surely expect a 0-0 draw with Celtic on Wednesday...no? I was also right that the starting line-up would change and it did with Ashcroft and McKenzie replacing Findlay and Johnston. Wee Messi was injured in training and the big defender looked shaky at a couple of the goals we conceded to Dundee, plus we are playing his team on Wednesday and he's not eligible...but still no start for Kiltie. We started fairly well and retained possession well for about fifteen minutes before it all started going Pete Tong. Individually we have several players that have talent but the tactics, or lack of them, are not getting the best from the guys who could make a difference. 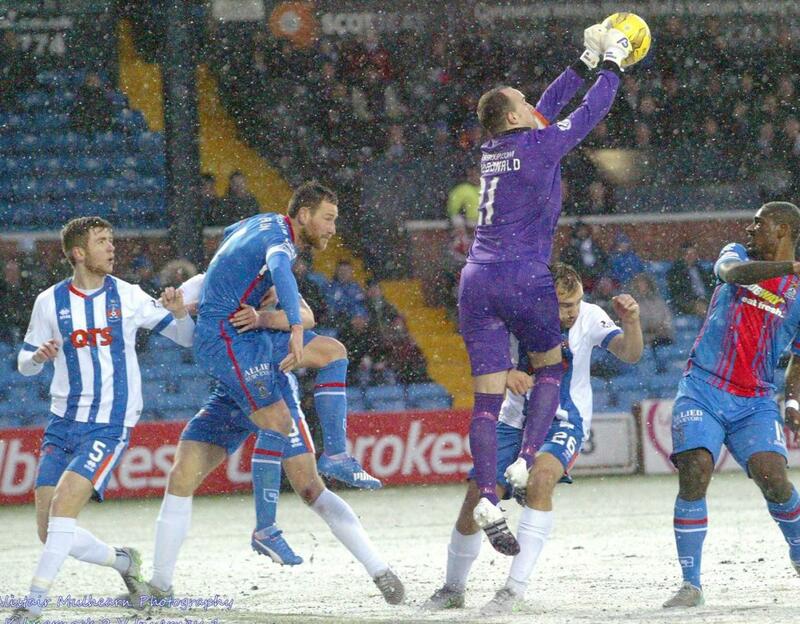 Referee McLean gave us nothing as usual, but in all honesty there could be no complaints about the end result. You can understand the frustration of the Killie fans who travelled hundreds of miles and had to stump up £25 to watch what can only be described as dross. Sorry but one win and nine losses out of the last ten games is unacceptable. Aug 18th 2015... From abject misery to a glimmer of hope with a couple of 2-2 draws under our belt since last week. Four goals scored and four conceded and we have not been in front once…we are going to have to learn to start playing before the other team scores! The midweek result at the Theatre of Pies was particularly gratifying given that we were being quoted at 16/1 for the win prior to the game, that’s why you will never meet a poor bookie. The main difference was the fight shown by the team and they battled for every ball. Magennis started for the injured Boyd and missed a sitter, before burying a shot that was far more difficult and the cheeky chipped penalty by Higgy was delightful, good job for him in went in! Saturday’s draw at Firhill was slightly less pleasing, but I’ll take a point way from home any day, so let’s not be greedy. The real hard work starts now. Aug 25th 2015... So much for the hard work starting now, if the weekend’s result goes for anything then we are simply not up to it. Too many players who do not look interested and there is definitely problems with the way the team is being selected and set up and, nice guy though he is, Gary Locke has to be held responsible for that. Lee McCulloch was registered as a player in case of emergency with a talent like Kiltie and Slater back from injury both on the bench, what was the thinking behind starting a 38-year-old who clearly could not keep up with play? The midfield is non-existent at times and the defence shambolic, if we struggle to get out our own half we are not going to score many goals. 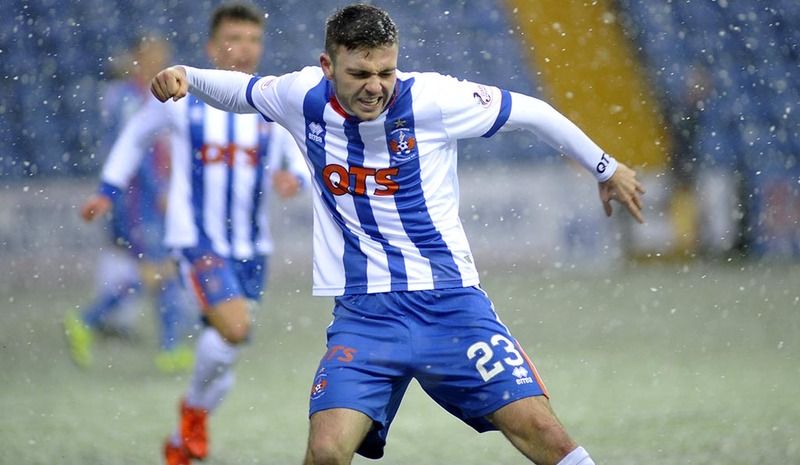 Killie fan Gordon Sawers video rant at the team went viral at the weekend, it may have been x-certificate stuff but let’s be honest, it is along the lines of what we are all thinking. 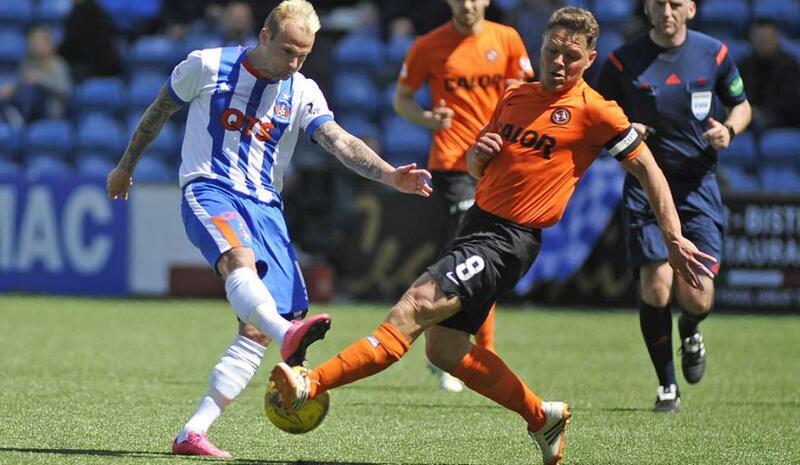 Sept 1st 2015... Firstly well done to the 474 brave Killie fans who travelled through to Motherwell on Saturday to witness our latest defeat. It’s no fun following the club these days and the ever decreasing numbers doesn’t appear to ring any alarm bells with our out of touch directors. The game itself was instantly forgettable and perhaps it was no surprise that the only goal came via a highly dubious penalty award. The introduction of Obadeyi and the impressive Kiltie sparked a bit more life into the team after the break but the Motherwell keeper was never seriously tested. With the international weekend approaching the management and team have an extra week to sort out the mess and one or two new faces would be more than welcome. The manager is coming under increasing pressure and the month of September could well be his make or break time. Sept 8th 2015... 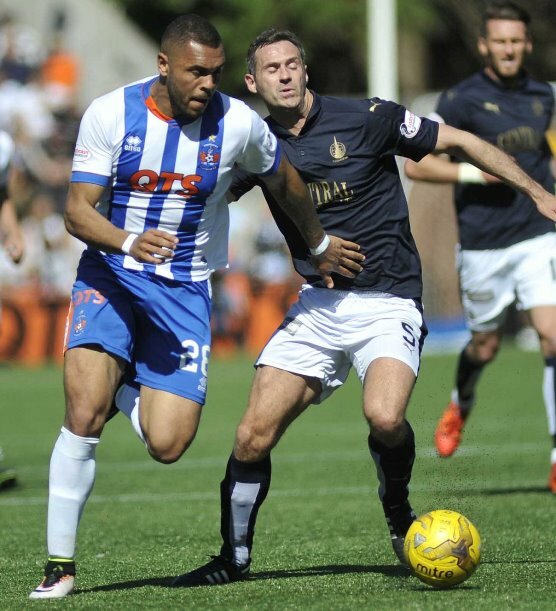 The international break may just have come at a good time for battle weary Killie fans who have witnessed a desperately disappointing start to the season. The rest will give the management team a chance to build confidence, gain more fitness and hopefully the trip to Tannadice on Saturday will be a catalyst for better times ahead. There has been a bit of criticism levelled at Gary Locke for his signing policy as we don’t appear to spread the net when looking for new faces. Kevin McHattie has arrived after leaving Hearts and I hope he proves to be an excellent addition however the arrival of another Hearts old boy only provides more ammunition for the critics. 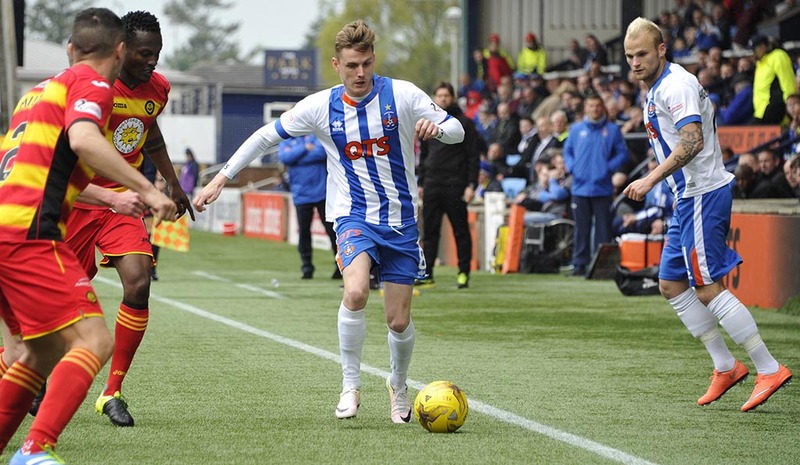 Finally good luck to Robbie Muirhead after his move to Firhill, he shouldn’t have been allowed to leave Killie and I still think the big striker will score goals if given a chance. Sept 15th 2015... For once it would appear that the international break has done us some good. 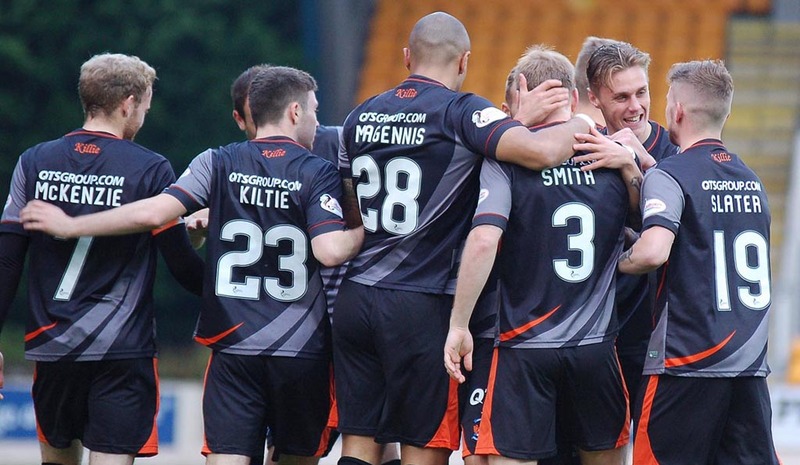 Tannadice last Saturday was a day of firsts; our first win of the season, McHattie’s first appearance and also his first goal, which was very well taken by the new left back…it is always nice to be able to buy a Sunday paper for the cludgie! Three directors met with fans last week to talk about what is happening at the club and the meeting lasted three hours, I think it is fair to say that there are still a lot of problems to be resolved off the field with conflicts of interest causing concern. Next up is St Johnstone who will be a tough test and be an indicator to whether our good fortune (and good goolkeeping) in Dundee was a fluke or the start of some form. 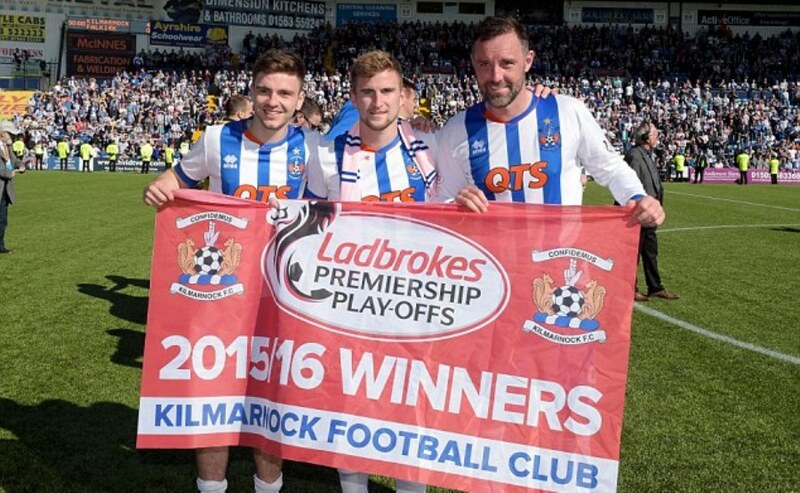 In time-honoured Killie fashion we remain skeptical, but will go along and support the team regardless. 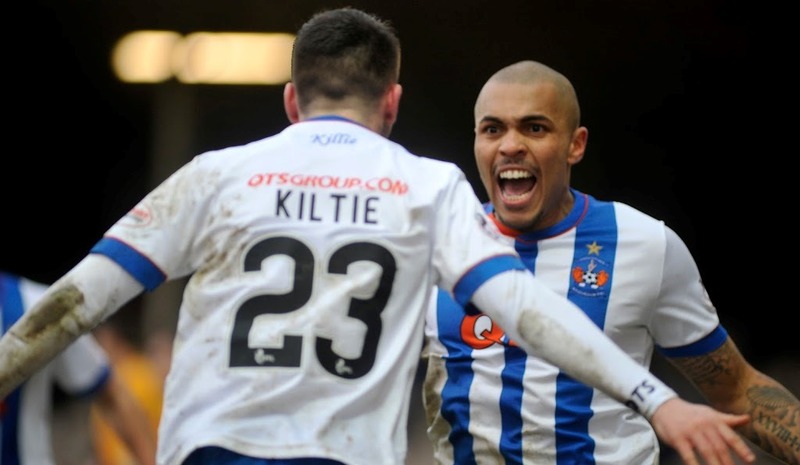 Sept 22nd 2015... Killie are back! Is that too soon? Probably, but it is still great to have won two on the bounce regardless of how frail our defence still looks. At times you could drive a bus through there and that is exactly how St Johnstone opened the scoring last Saturday. Still, I feel a bit of a grouch complaining when we bag all three points…I’ll be happy to moan all year if we keep getting results. 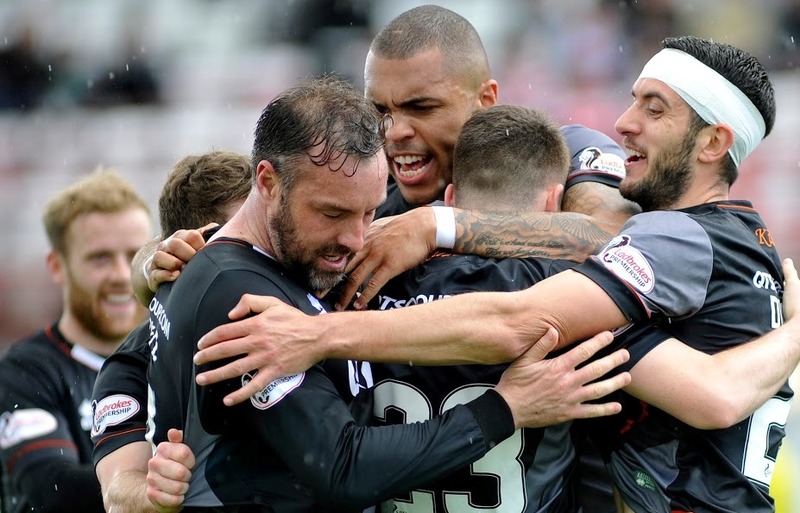 Tactically nothing much changed as we started with the same eleven who won at Tannadice, quite rightly, the players seem to have got a boost of confidence with that win though and it was pure determination that won through over the Saints. One player who encapsulates that grit is Rory McKenzie who has played all season like every game was his last, the referee gave him that audacious winner from the byline and as far as I’m concerned he deserved it. Is a win on Wednesday too much to ask for with our star goalie out injured? You’ll have to go along to find out. Sept 29th 2015... It was double trouble last week for us as we failed to progress in the cup and lost yet another home league match. We seem to be a first half team this year with decent displays in the first 45 minutes of both games, only to be undone in the latter half of the game. We have been chopping and changing things at the back on a regular basis and it seems to be taking effect as we can’t seem to defend as a unit and leave far too much space for the opposition to penetrate which inevitably leads to losing goals. 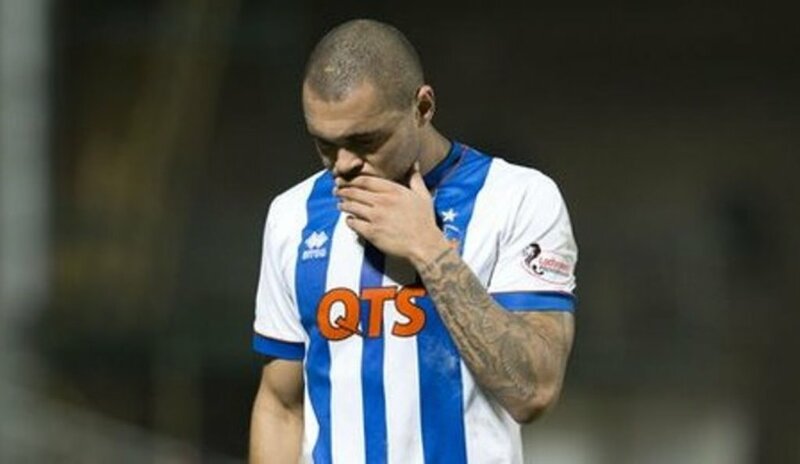 Going forward we seem to have gotten our act together with Josh finally looking a bit more potent and Kiltie at the heart of anything productive…but we are still scoring less than we are conceding and that only leads to more heartache for the fans. Congratulations to the Hamilton squad on winning their collective black belt for moaning and time wasting, some things never change. 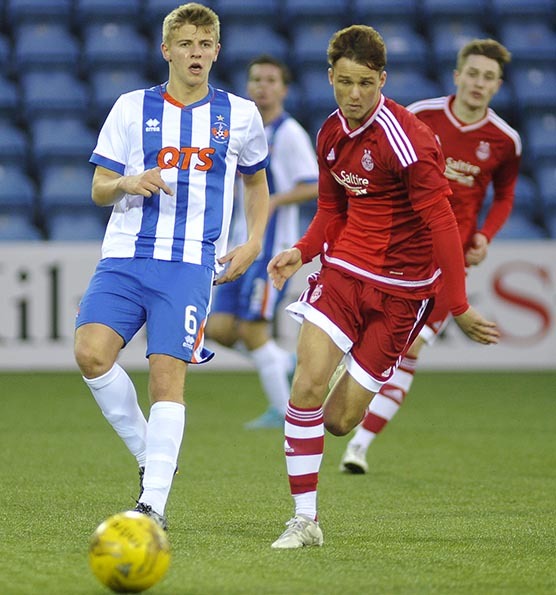 Oct 6th 2015... Tynecastle has been a happy hunting ground for us recently, well with the odd exception, and on top of that it is one of the best grounds in the league to visit in terms of atmosphere; so despite them dumping us out of the league cup a week or so again, it was still a trip that lots of Killie fans were happy to make. The sun was out, the natives were friendly and all was going well for about 20 minutes, then we started to struggle a bit. Then forty minutes in recent signing Conrad (our first?) Balatoni conceded a penalty, which they duly dispatched, and suddenly things were not looking so rosy. Kiltie (yes, the free to talk to anyone wonder kid) had the only real effort of note and the game was calling out for the introduction of McKenzie. Rory and Boomer were introduced later on in the match but it was the bold Conrad who cracked home the equaliser with ten minutes to go, and I think we just about deserved the point. Sadly if you weren’t there you are going to have to take my word for it, the TV highlights on BBC lasted 58 seconds, we had Scottish teams in Europe slightly longer than that! Oct 13th 2015... 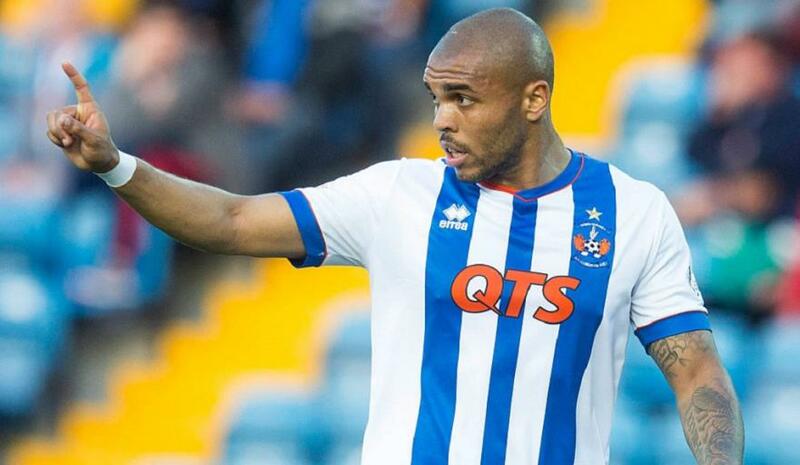 It seems a bit strange that in international week the Killie flag was being flown (and well by all accounts) by Josh Magennis who has been a real ‘Marmite’ player for the Killie support. The big man cannot exactly be described as prolific and has struggled at times, especially with some of the poor service he has received, but in the last few weeks he has started to find the net on a more regular basis and the TV pundits and Northern Ireland fans have been waxing lyrical about him over the last few days. So what has changed recently? Could it be the reintroduction of the league all-time top goal scorer to the squad? 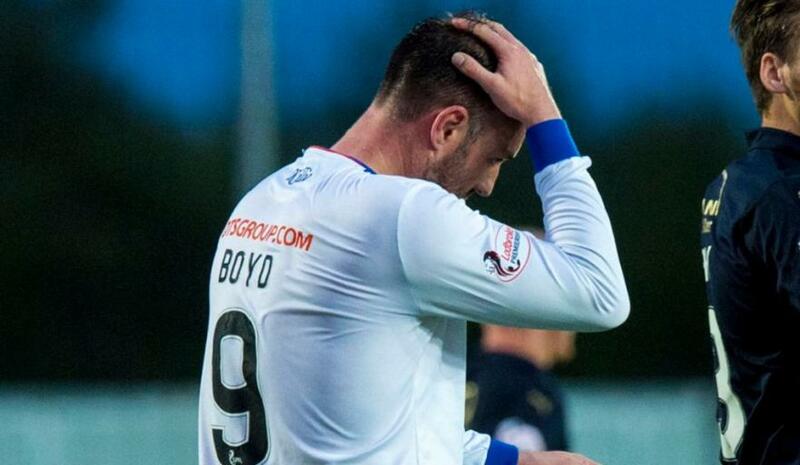 Boydie has not had much of a chance to shine either but if his contribution has been to help do a “Sammon” with Josh then it has been a worthwhile move for all concerned. 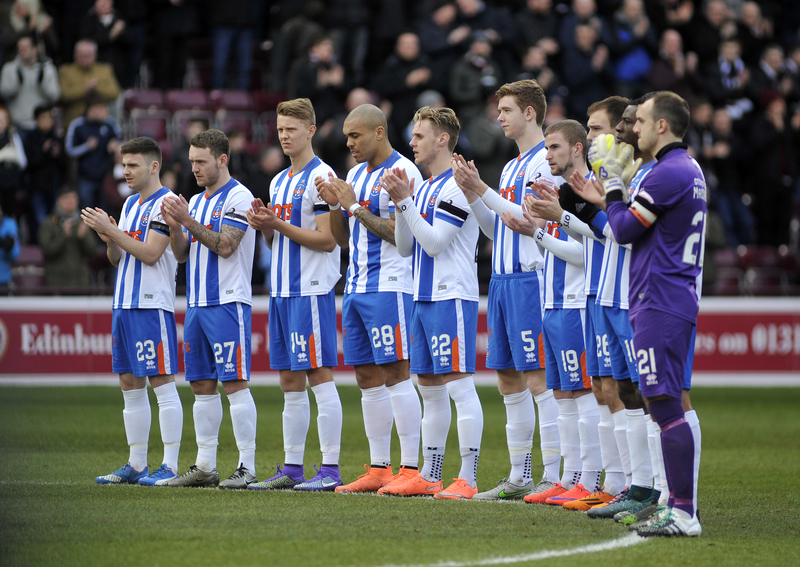 More good news breaking on the club capping ticket prices at £20 for the remainder of the season…leading by example, that should also be the Killie way, check the official website and killiefc.com for more details. Oct 20th 2015... One of the tabloids tried to stir up the Celtic fans last week with an ill-informed negative story about our ticket price reductions and I have to admit I was surprised they fell for the anti-fan rhetoric. Killie charge them less than their own club and less than most others in the league and are trying to do something positive, but of course if the facts don’t fit the agenda then they get ignored. Even though cash turnstiles were reintroduced as well it would appear that there is far more than prices keeping Killie fans away and the four (yes, FOUR) fans in hospitality must have thought they were in the wrong venue. We did have to endure a forty-minute snoozefest but when we got going we really turned it on. Our first goal was a real team effort with hot prospect Kiltie finishing clinically, the whole second half was good to watch and big Josh found the net yet again. Smith in for Hammy, Rory in as captain, is this some tactical nous we are seeing at last? Oct 27th 2015... 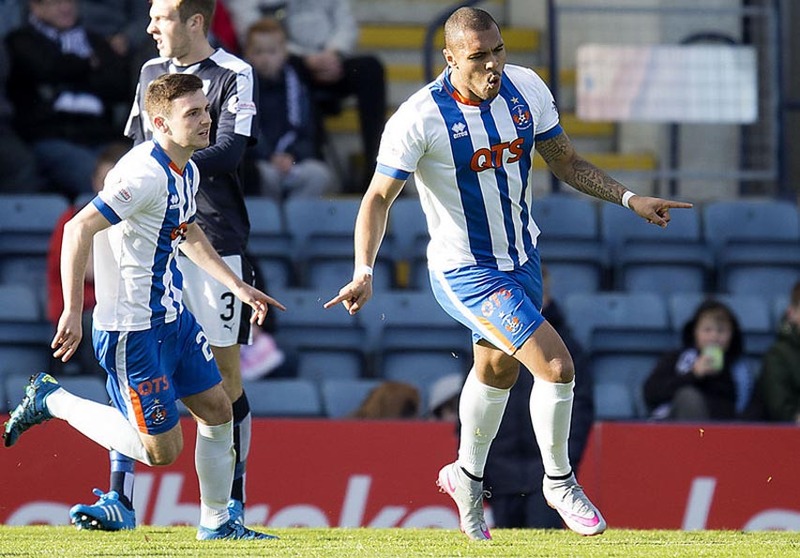 Scoring seems to be becoming a habit for ‘Goals Magennis’ and let us hope that it is a hard one to break. Never saw that coming! It has been quite a turnaround from Gary Locke’s team, so they should get as much credit now as they took flack when results were not forthcoming. The difference between Saturday’s performance and our season opener is quite remarkable, and it was only when we made some substitutions that Dundee even looked capable of getting into the game…but we held on for all three points. This Friday check the website’s Twitter feed for a chance to win Greg Kiltie’s signed boots and a pair of match tickets as we try our hand at drop-lifting! On a sadder note, condolences go to the family of Matt Watson who passed away this week, full back Matt was the player of the year in our championship winning season and a top bloke by all accounts, the club will arrange a tribute for Saturday. Nov 3rd 2015... It is testament to the progress we’ve made in recent weeks that Saturday’s defeat at the hands of Motherwell was so disappointing. We seemed to be in control for the most part with ‘Well restricted to less than half the shots we had, but the true tale of the tape is that they still had more than double our amount on target…and one of them counted in the dying minutes of the game. The problem for me was that Higgy was getting snuffed out of the game and Kiltie and McKenzie were too far wide of Magennis to be of any real service. I am no expert of course but I think I would have slotted one of the pair in a more central role and worked my substitutes in around that. Champ Manager has a lot to answer for! Well done to John Armer for winning the Cove Boutique drop lift on Saturday and kudos also to the Howard Arms and Kevin McHattie for their KFCSA quiz win at the Kadi. Nov 10th 2015... Looks like the players will not be getting as many days off as anticipated during yet another (needless) international break. 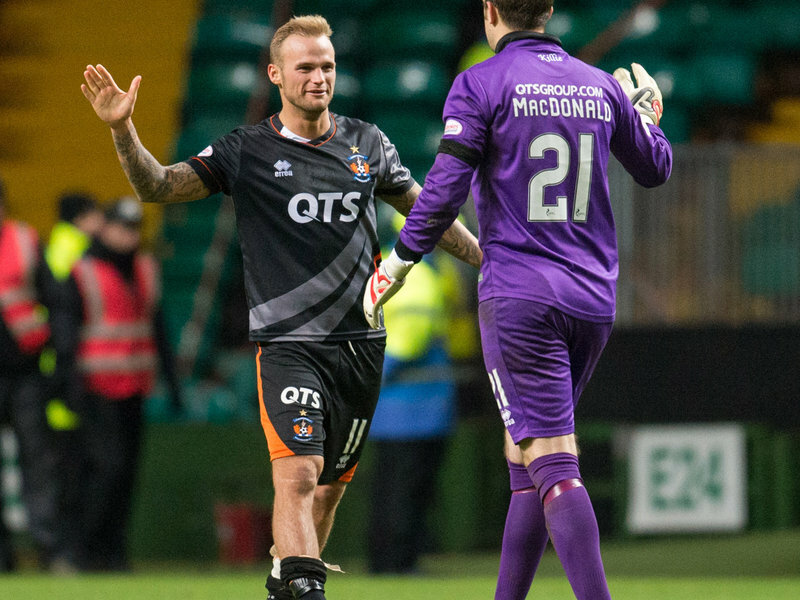 We got off to a great when Smith hit the opener within two minutes of kick off – but Saints proved too strong in the end and after scoring twice managed to hold on to their lead despite intense pressure from a Killie in all-out-attack mode at the end. We can only hope that they put the hours in the same way they did during the last break and that Celtic and Partick pay the price. Maybe a bit of wishful thinking there! With a blank fixture list this week would it not have made sense to schedule a reserve match at the Theatre of Pies? It would give all us saddos something to do on Saturday afternoon and allow people who normally can’t make development league games a chance to see our up and coming players…plus it would probably put a quid or two in the coffers and to be honest we are desperately strapped for cash. Nov 17th 2015... You would think that with no match last week that the interest on the internet would also wane, but it was quite the opposite. The new killiefc.com website is gradually being brought up to speed but with so much content it will be a long time before we can archive the legacy site for good. Despite that, the social media side of things has really taken off on Twitter and Facebook and some of the stats given to us by our old pal Zuckerberg last week made for interesting reading. Over 13.5 thousand people checked us out, which is an increase from last week of 755% and 1.8 thousand of those engaged with the site, which is incredibly 1828% more! Craig Benson is the man driving all the traffic and we have brought Scottish Comedy FC’s Michael Park on board to consolidate all the fans organisations online output...and they seem to be doing rather well with more changes in the pipeline to come. We can but hope that the team can emulate such success at Parkhead next week. Nov 24th 2015... A draw in the East End of Glasgow may not seem like much to celebrate, but as someone who has witnessed one win there in my entire lifetime, I’m taking it as a moral victory! While Celtic fans (as they do when anyone garners points on their turf) cast aspersions about visiting teams ‘parking the bus’, they fail to understand that our whole squad get paid less than one of their top players, and by the book they should be scudding us without getting out of first gear. It is a testament to the hard work and resilience of our players that we are able to grind out any kind of favourable result at all. Praise also should go to Gary Locke and his backroom staff for doing their homework and almost getting the tactics spot on, we were under a lot of pressure at times but we could still have sneaked all three points in the end which is admirable given we had a knife at a gun fight. Honours even with the reigning champs after two matches…Balatoni is so impressed he signed a 2.5 year contact extension! Dec 1st 2015... The manager took the praise he was rightly due last week, and he is going to have to take the criticism this week for the capitulation at Rugby Park; our players seem to struggle more on this pitch than anyone else! I don’t understand why we would try and go with the same team and tactics against Partick Thistle at home as we would away to the league leaders, horses for courses and all that surely? Findlay, other than being ineligible last week, has done nothing to deserve to be dropped, and Slater should surely be starting if available as well? We had Dan Marcolini and his three sons over from Verona and Peter Nederlof and his group over from Amsterdam just to see the game, what with the weather and the result I bet they wish they hadn’t bothered! Like many in the home support, I clapped Muirhead’s first goal before I even realised who it was, we are Killie fans first and foremost but as football fans you can still appreciate a well hit strike…and understand the irony of his salute to the numpty who sold him on for peanuts behind the previous manager’s back. Next week is crucial, all we can do is turn up, get behind the team and hope for the best. Dec 8th 2015... Gary Locke really shuffled the pack ahead of the Dundee United game in terms of personnel and tactics, going with three at the back for the first time that I can remember. It certainly seemed to work from the outset with Killie clearly on top and a great cross in from big Josh on the right saw Boomer do what he does best and fire the ball into the net to give as a lead with only four minutes gone. The pressure continued and we could have been another two or three goals to the good until disaster struck after twenty minutes and the referee awarded an extremely dodgy penalty and sent off Findlay. The Arabs took the initiative and drew level and upped the the tempo to try and ram home their advantage in numbers…but we stuck to the task and to be honest could have sneaked the result at the end had Slater’s run and shot not hit the post. Dec 15th 2015... It has been a long while since there has been as few travelling Killie fans as was the case at the Caledonian Stadium on Saturday. Six supporters’ clubs shared a single bus, the Travel Clubs, because the combined factors of distance, weather, cost and poor form gave even the biggest die-hards a serious decision to make…and to be fair it is still up in the air who actually got it right. 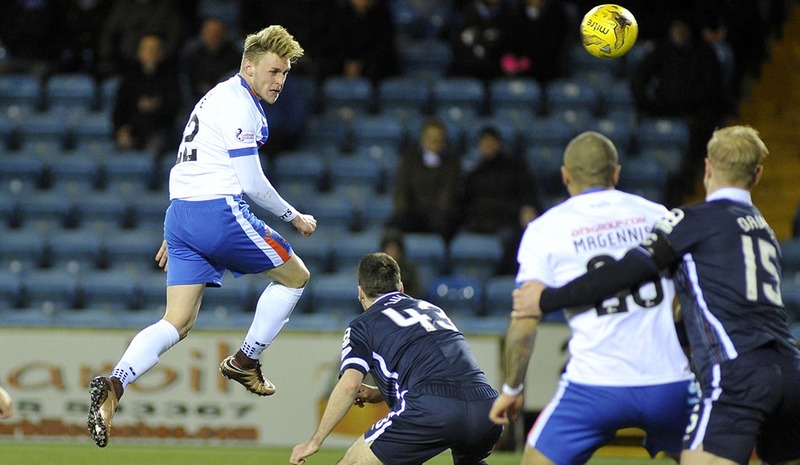 The festive spirit of those who made it to Inverness was sorely tested with a dismal first half display that saw the home side capitalise on slack defending from McHattie only quarter of an hour in. Failure to clear our lines saw them double that lead ten minutes before the break with Killie offering nothing going forward of note. Locke replaced Slater and Obadeyi with Carrick and Kiltie at half time and the we did improve to a degree with a few chances. We had a stone wall penalty claim for a blatant infringement on the edge of the six-yard box as Boyd laid the ball off to Hamill, whose shot cannoned off a Caley defender’s hands. The referee was having none of it though. We clawed a goal back at the end with Balatoni connecting with a Smith corner and Connelly appearing at the back post to drill it in, but it has to said that the result was a fair one and we will have to do far better if we are going to get back out of that play-off position and remain safe. Dec 22nd 2015... 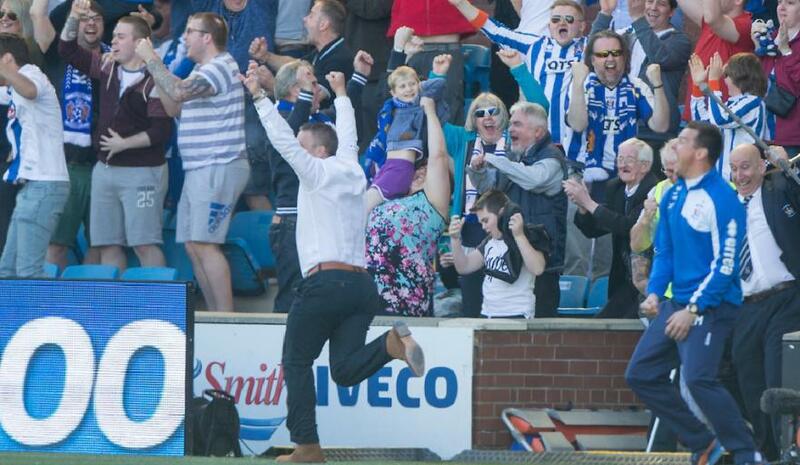 They say a week is a long time in politics...well let me tell you it seems far longer if you are a Killie fan! Having a look back at the columns this year it would appear that I have tried to be patient with the manager and not once called for his head, despite a cacophony of catastrophic results. Now the poor performances are trying my patience and most fans would agree that it is probably time for a change in direction. Aberdeen gave us a lesson on Saturday that should have been learned after successive heavy defeats at the start of the season, but we seem to be going backwards not forwards and all we have to look forward too is our best players leaving for peanuts in the coming months. We are being let down by the board, the management and the players at the moment, there may not be much festive cheer come Boxing Day. Dec 29th 2015... Well I was wrong about the Boxing Day being cheerless, and I’m more than happy to admit that, with a first ever win at New Douglas Park that I can recall. That said, let’s not kid ourselves on here, although the driving rain didn’t help the first half was like watching an amateur game and if it hadn’t been for Balatoni popping up on the line from absolutely nowhere, we would have been behind again. The second half wasn’t much better with both teams failing to impress, but for once we got the rub of the green and a bit of a miss-kick by Tope managed to loop in over the goalie to send the Killie fans into a festive frenzy. Kudos to all those who travelled, over 700 of a 2,000 crowd is beyond the call of duty especially given recent results. By the time you read this we will have been to Dingwall, I will reserve judgement on whether we have turned any corners until after that and Hearts at home. Jan 5th 2016... 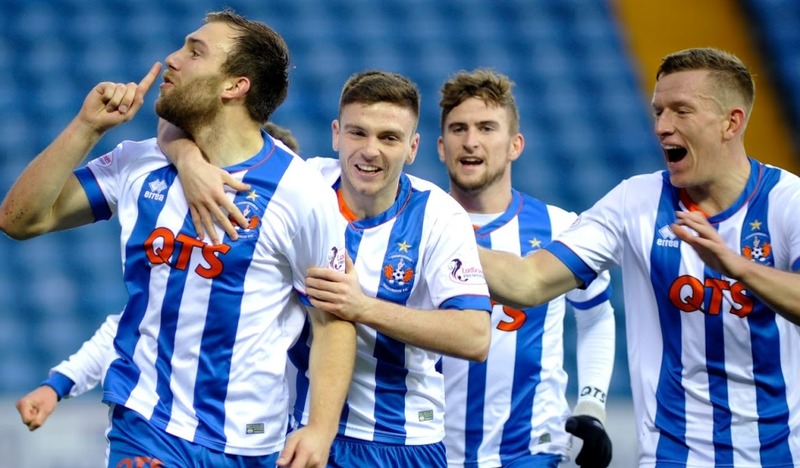 Happy new year to all Killie fans and the good news is that we are unbeaten in 2016! Hearts came first footing at Rugby Park and a share of the points was just about right at the end of a fiercely contested battle. The manager had shuffled the pack again with Ashcroft and Syme being introduced into our leaky defence and both acquitted themselves well on the day. Balatoni gave us a lead just before half time but unfortunately the visitors equalized just as the half time tea was being poured. The signs were ominous when the Jambos got their noses in front but we showed some battling qualities that have been missing in recent weeks and fully deserved our equaliser courtesy of the hard working Magennis. It’s cup duties at Perth this weekend which will hopefully serve as a welcome distraction from the tough league campaign that lies ahead. Jan 12th 2016... The happy new year carried on into the Scottish Cup as the Mighty surprised everyone with a victory in Perth over in-form St Johnstone. A stunning free kick by Slates in the first five minutes proved to be the difference between the two sides and it took some resolute defending to keep things that way. Jamie McDonald also proved yet again what a top signing he has been with an unbelievable triple save as the match drew to a close. The support were also in fine fettle and now have a trip to a lower league team from Glasgow to look forward to in the next round. Another fantastic piece of news was Greg Kiltie signing a contract extension, that’s a fine piece of business by the club although they did leave it a bit long for my liking…if we can get Rory and Slater to follow suit then it will at least provide us with some stability. 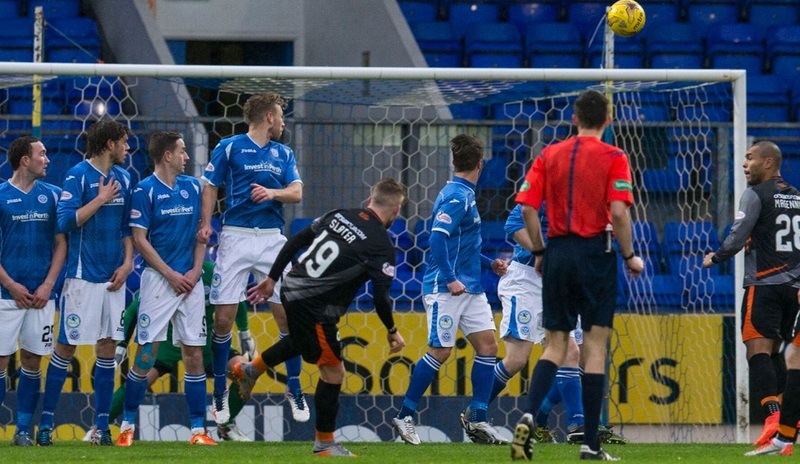 Jan 19th 2016... With Josh, McHattie and Smith all ruled out by suspension on Saturday it looked like a tough ask to get anything from a physical Inverness side, but for the second week in a row Killie walked away winners. I did not think the weather would affect our game what with the artificial pitch, but no heating below the surface meant snow would start lying and we faced a break in both halves to clear the lines with a comedy tractor show at half time into the bargain. Kiltie celebrated his new contract and his birthday this week with a well taken goal; but we let in a sloppy equaliser and our heads went visibly down until the break. The second half was a different story with the players and the fans well up for a fight and a rocket volley from Slates was enough to give us the points and puts us 14 points ahead of the Arabs and back fighting to get out of the play off spot. A draw or better at Tannadice will suit me fine. Jan 26th 2016... And so to Dundee, city of discovery, sadly we didn’t discover anything that we hadn’t figured out already. 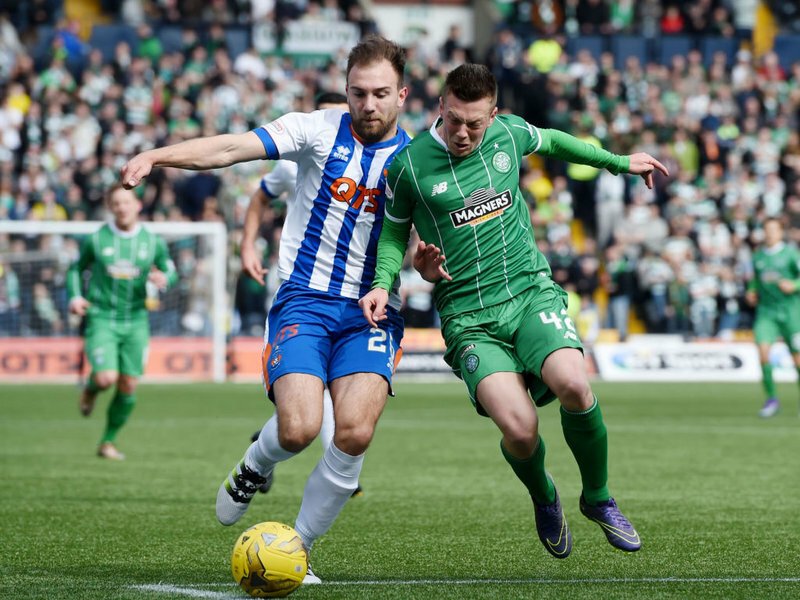 In forty-five minutes of abject misery we watched a team with no heart, no ambition and no game plan…and Killie were down four nil to them! We seem devoid of leadership on and off the park at the moment, which has been the case for a while of course, but you live in hope. That hope was well and truly shattered on Saturday and almost half a decent travelling support were back in the pub by ten minutes to four…and I don’t blame them. Gary Locke is a nice guy, but surely even he must be thinking that he has bitten off more than he can chew at the Theatre of Pies? We seem to get the odd moment of lucidity but there are far too many downs and not enough ups which has only served to dent the faith of both the fans and the players, something’s got to change. Feb 2nd 2016... It was all happening off the park this week, there certainly wasn’t much happening on it! 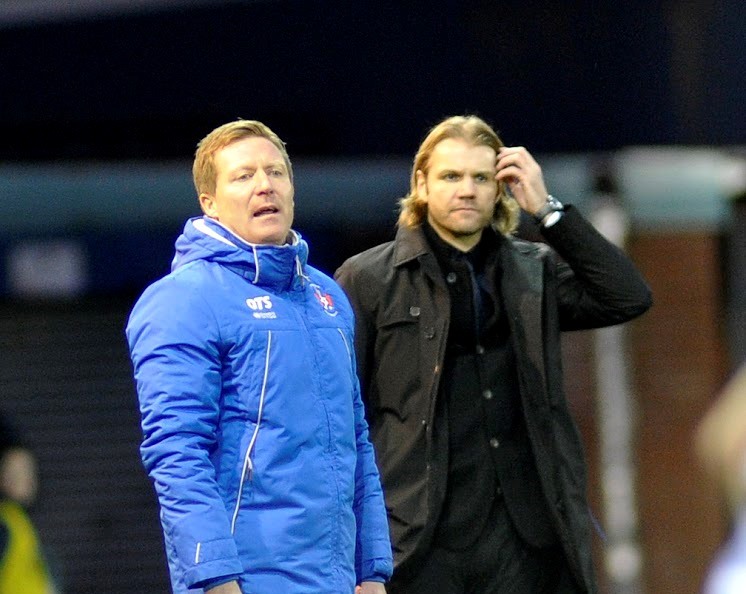 Yet another defeat in a must win game against Hamilton was the straw that broke the proverbial camel’s back and Gary Locke “resigned” before the sun set on Saturday. Billy Davies is the name being quoted in the press as his replacement, but our former chairman is not renowned for getting on with anyone as outspoken as the former Forest boss so we will just have to wait and see. Strangely enough prior to the transfer window slamming (©Jim White) shut we signed two new players picked by the manager we saw fit to get rid of, what’s all that about? Nonetheless we should welcome midfielder Gary Dicker from Carlisle and right back Lee Hodson, here on loan from MK Dons, into the fold and hope that the new gaffer can put them to good use. Well done also to the Howard Arms KSC on raising over £4,000 at their charity night. Feb 9th 2016... 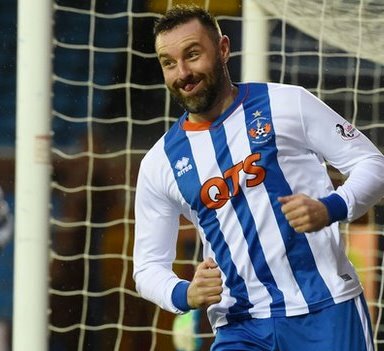 There was another cup shock this week as Championship minnows Rangers managed to hold top flight Kilmarnock to a draw and earn a money spinning replay at the Theatre of Pies next Tuesday. It was never going to be easy, we had no manager, two players who hadn’t even trained with the squad, and we traditionally always end up lowering our game to the same level as the opposition in cup fixtures, but a draw suited us as we could do with some extra cash to bring in a new gaffer. All jesting aside, the two new signings looked solid enough and we matched the home side well enough in the first half, but the second half we sat too deep and were fortunate to finish the game with ten men and our name still in the hat for the next round. We should not have anything to fear for the replay, could Lee Clark be our new boss by then? He seems to be the new bookies favourite but the interview process continues, and so it should. 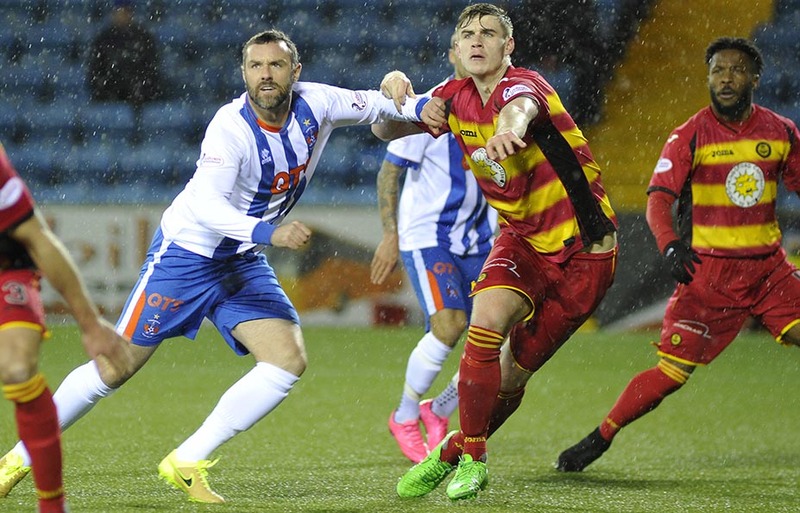 Feb 16th 2016... We kept it simple at Fir Park and weathered the expected storm in our stride in the first half. Come the second half we stepped up a gear and gave a truer reflection of the potential we have in the squad to take control and emerge as winners. Credit to McCulloch and Leven for steadying the ship and is good to know they will still be there to advise new gaffer Lee Clark when he takes the reigns properly next week. I have deliberately not read any press about Lee's previous endeavours so that my judgement is not clouded by his past. 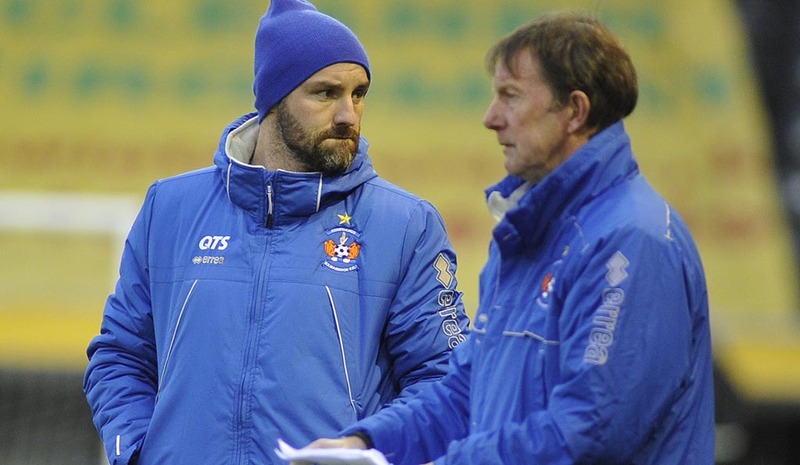 He starts with a clean slate and as always, I am sure that the majority of Killie fans will be right behind him and fingers crossed that the new “Killie Way” will be a winning one. This copy is submitted prior to Tuesday’s cup tie so if you are reading this in the Scotsman on Wednesday we will know the result by now. My prediction is a tight game, a dodgy referee, thousands of teddy bears in the wrong end and no giant killing act with Ayrshire’s finest easing through 1-0. How wrong can I be? Feb 23rd 2016... It would appear that inevitably called the cup game wrong and we were edged out by the new boys in injury time. I’m surprised there was not more injury time considering how “unforgiving” our pitch is. Dozens of seven-foot-tall rugby players bounced around on it with carefree abandon the previous night, but Princess Waghorn encountered his proverbial pea at some point amidst throwing himself to ground for a penalty, getting up to score it, running around celebrating and getting jumped all over by his team mates. Must have been the artificial turf then. Despite all the scientific evidence to the contrary, Warbuton has decreed that forthwith all pitches must adhere to his strict guidelines, this is what we have to look forward to next year, possibly. 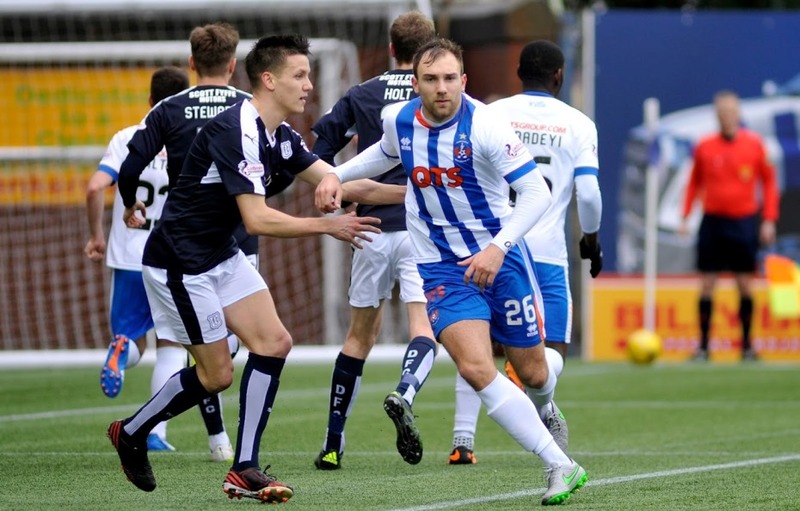 On to Saturday and Lee’s first game in charge, all I can say is that we were four goals and one point better off than when Dundee last visited the Theatre of Pies, and that’s after just three training sessions…so far so good then! 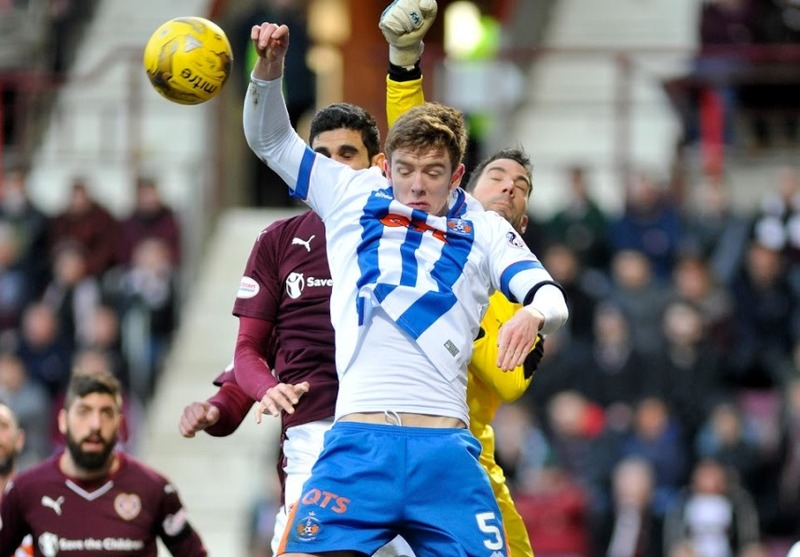 Mar 1st 2016... Tynecastle, which has been a happy hunting ground in recent years, proved a step too far this week as Lee Clark’s side failed to keep with tradition and came away with nothing. By all accounts we should have opened the scoring in the first minute of the match, but it never came to pass and only six minutes later we fell behind to a rebounded shot from a saved penalty. How sick must MacDonald feel having saved not one but two spot kicks and still ending up on the losing side? Individually our best players didn’t shine on the day but collectively we could have merited a draw. New signing Faubert made a steady enough debut but it remains to be seen what he can offer as we enter the real dog fight now. While some Hearts fans failed to show big Josh any respect, at least they gave a fitting tribute to Jim McFadzean, league winner with both clubs and general all round good guy who passed away last week, condolences to his family and friends at this sad time. Mar 8th 2016... It is great to have Saturday night having not lost in the afternoon, we managed that last week by getting it over with on Tuesday. It has been a week now and I barely remember what happened in the match, I think they call that selective memory loss. My overriding recollection from a pretty poor showing was that the referee was utter dross. According to the statistics however we had more shots on goal, more shots and target and the same amount of possession, yet lost 0-2, anyone think that we need a decent striker? To be fair we are not really setting the heather on fire in any department, even player of the year so far, Jamie MacDonald, wasn’t performing heroics like he normally does. 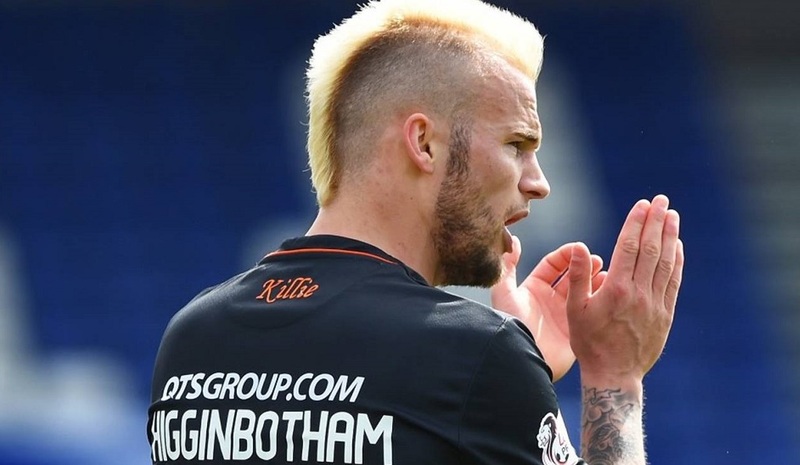 It looks to me like it’s a straight fight between Dundee United, us and Hamilton to see who goes down automatically, who will face Hibs or Falkirk in the play-off and who survives. We must show more fight than we are currently. Mar 15th 2016... I hoped to have better news to report this week but sadly the two things that we didn’t want to happen did…Killie lost and Hamilton won…fortunately Mixu’s lot didn’t gain any ground on the Friday night. By all accounts a narrow defeat away to an Aberdeen side who are running Celtic unbelievably close at the top of the league would not be considered a terrible result, but at the business side of the season we need every point we can get and it was a real sickener to lose after putting so much effort into the game. I would like to say that it augers well for next week, after all we are yet to be bettered by next week’s opponents, but let’s not kid ourselves on that it will be anything less than an extremely difficult game. The Celtic fans called for a boycott on price issues, their board has offered to subsidise their tickets, ironically they are now paying far less than the Killie fans for the same match…I seem to remember someone else trying that! Mar 22nd 2016... We asked for fight last week and we got it, although sadly we still didn’t get any points. I have no problem admitting when we deserve to lose, but the best team didn’t win on Saturday and I’m sure that even Celtic fans will concede that. A fitter looking Faubert was everywhere and linked up well with Dicker. Boyd was unlucky on a few occasions but will struggle due to lack of matches and absence of punch up front was part of the reason we lost the game, the other of course was the worldie in the last minute that no one could have stopped. It looked like our tea was out when Hamilton went ahead later that afternoon, but they eventually lost and Dundee United could only scrape a draw in their derby game on Sunday so we got off lightly. My humble opinion is that we changed managers too late and other results will conspire against us, we can but hope that Clark’s bravado will stand us in good stead in the play offs, I’m starting to think we can do it. Mar 29th 2016... This week off for international fixtures is just a pain in the back side, especially when no one at the club appears to have the sense to have arranged something else to engage the fans when they have time off and are looking for something to do. Let’s be honest, its not like many of the players have earned a break, or that they don’t need match practice under the new gaffer. Would it not have made sense to have a bounce game on Saturday morning or afternoon involving the youth and first team players who were not away on international duty? A few quid into the bank and a chance to see some of the fringe players while keeping the first teamers ticking over, as they say, its not rocket science! Meanwhile the new look KillieFC.com goes from strength to strength with new forums and FC Kilmarnock Ladies joining the fold. It’s a top level website, we just need a top level team to match it, next stop Firhill…be there. Apr 5th 2016... What a fantastic support we had at Firhill on Saturday, filled our end and drowned out the home fans. Sadly the game was a bit of a non-event and the facilities were so bad it has prompted our SLO to write and complain. New signing Addison is a bit of a tank and moved about that speed at times, but hopefully that will improve with his match fitness and he did look quite imposing as we secured another clean sheet. Stopping the rot at the back has helped, but we need someone to start sticking them away at the other end now. Kiltie covered every blade of grass, the back four were solid, but collectively we failed to shine. Higgy and the normally reliable McKenzie lacked sparkle and I would seriously consider starting big Josh wide right if we are going to continue with Boyd up front. If we don’t win this Saturday, then the best we are getting is the play-off spot…and Dundee Utd are not out of the Mixu yet! Apr 12th 2016... We asked for more fire power up front and we get three goals delivered, can we get a lottery win next week to buy the club for the fans? Boomer did what Boomer does and love him or loathe him you can’t argue that given a wee run he has put the ball in the back of the net. Josh did well wide right as well, in fact it was a better team performance all round and we thoroughly deserved the result, I hope we can maintain this form and catch Accies post split. It was an ideal time for the board to let slip that the AGM will be on Tuesday 26th April at 2pm (yes, when everyone is at work) and chairman Jim Mann is exiting the board; unsurprisingly he is citing ill-health as the reason, stress is not easy to live with. Good luck to him and thanks for trying but more radical change is required for survival while still backing the team 100%. Apr 19th 2016... Another blank week in the SPFL fixtures list but we don’t do boring at the Theatre of Pies…or should that be the ex-Theatre of Pies? I better not mention the ‘K’ word for fear of reproach! You honestly could not make some of this stuff up, I am not going to regurgitate all the details but suffice to say that our ‘leadership’, and I use the term loosely, has made us a laughing stock once again while ensuring that we get no further investment from another long-time sponsor. Take the money for nothing on the proviso that we can still sell K*llie Pies at Rugby Park, it’s the only place we sell them anyway, end of story. If only. They follow that up with advertising an early licence the Sports Bar (which according to the AGM notes no long contributes to the club) has got to show some tin pot match in Glasgow, cue even more hilarity and disgust at our expense. Never mind all that they said in a statement this week, concentrate on the games ahead…not deflecting or patronising in the least of course. Apr 26th 2016... 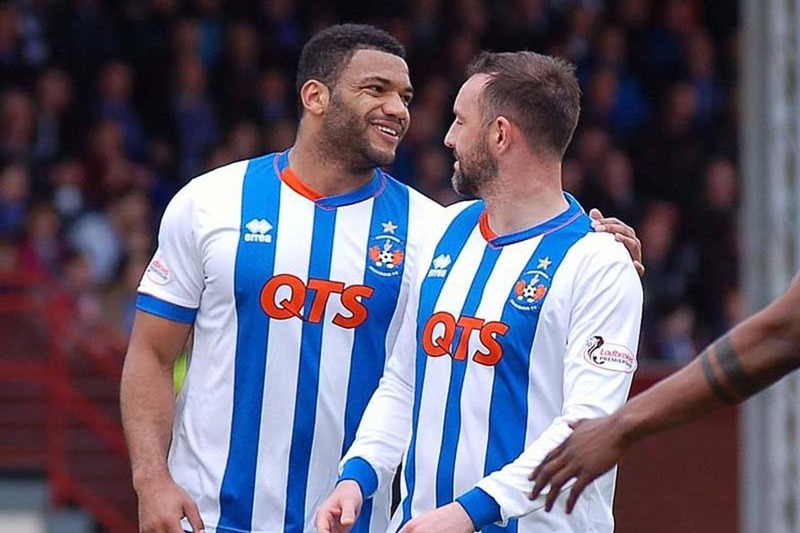 The football returns, and so does the heartache as Killie blow our chance to close the gap on Hamilton and a play-off slot looks a certainty, even if we beat the Accies next week…and stay ahead of Dundee United of course. It was nice of the SPFL to send us to the other end of the country at stupid o’clock on a Sunday morning, and they wonder why crowds are down? Higgy scored a peach at the end of a pretty even first half to the delight of the away fans, but the normally dependable Balatoni had a total ‘mare of a second half and cost us our player of the year with a suicidal back pass and was quite rightly subbed after being involved in further goals lost. Never mind there was the long trip home to look forward to! The pantomime that is our AGM will be/was on Tuesday and the reports say we have doubled our losses yet again. We are being run in an unsustainable fashion and change is required if we are to survive…and I don’t just mean in the top division. May 3rd 2016... Saturday was one of those days that makes all the crap days bearable. Killie horsed the Accies (we’re coming for you) and dragged them to within four points with nine still to play for; the Jags are actually within reach now as well and we can bring them to within three points if we beat them this week in a game which the club are allowing season ticket holders to bring a friend for a tenner and under 16’s free. Boyd sported the captain’s arm band and led by example, which saw young Kiltie back to his best with a brace out of nothing. We carried a bit of luck for a change but Hamilton deserved nada and the stadium announcer gave the man of the match award to no one; I’m giving it to our whole squad, fans included. The support was vociferous, getting behind the team and slaughtering director Michael Johnston, and despite being told to concentrate on the football, it didn’t seem to do any harm…quite the opposite…the time for faint hearts and poor leadership is over. May 10th 2016... The only change we made to the team who pummelled Accies was to bring in our player of the season. How did that result in us blowing the game and the chance to get out of the play-off spot? Granted, had we been given the penalty that Dallas waved away for the blatant shirt tugging on Boyd things may have turned out differently, but truth be told we were just mince. So much for #RockRugbyPark, it seems that when we try anything to increase the attendance the players get stage fright and we get cuffed. We’ll need to make the final play-off game £50 a head, or volunteer to play both legs away from home! McDonald is a star player but I don’t like goalies as captain so the campaign to give Boomer the arm band starts here. There is another campaign on the go after a stormy AGM as hundreds of shareholders call for an EGM to remove Michael Johnston from the board, sounds like a plan, or at least the start of one. May 17th 2016... There was nothing really to play for at the weekend, and boy did that show in the second half! Some of our best players were not risked with the play-offs coming up and we went down a goal early doors from a simple Arabs move. Surprisingly we didn’t capitulate at the point, we composed ourselves and pushed back and were rewarded with a Higgy goal from a shot that their ‘keeper could only parry. We kept the pressure up and Tope was all over them for a ten-minute spell with Higgy turning provider as he slid the ball through to an onrushing Obadeyi on the left who deftly chipped the ball over the advancing goalie. We had another two or three chances to finish the game at that point but then Michael Johnston appeared in the dugout to tell Lee that we had players on yellow cards (they never knew that before?) and when you’ve got Rory McKenzie on at right back and then McHattie making an appearance there, it was never going to end well, and it didn’t. Thursday and Sunday will be tough, let’s do our bit and get behind the team. May 24th 2016... This is an extra season diary as the Scotsman column has finished for the season but it didn’t quite include our dramatic end to the season which I am still trying to work out is an insult or what we deserve for being mince all season. One bonus is that I am not restricted to 150(ish) words, secondly I will be still contributing to the Premiership Fanzone next season and lastly I can say what I like with no danger of it being edited out! Last Thursday was a real kick in the gonads in terms of possession over result. The fans were immense and we missed some glaring chances, only to defend like big girls’ blouses in injury time and concede a goal. All was not lost of course as it was only half time in the tie with 90 minutes still to play at the Theatre of Sighs. Why did that not fill me full of hope? As we now know we had little to worry about as the fans of both teams got right behind the players from the get go and the home crowd were stunned but delighted as we reversed the deficit within seven minutes of kick off. Was anyone expecting that? It was good to see Lee Clark had opted to play Hodson in his favoured right back position and trusted young Taylor on the left. For me the crucial difference though was playing Kiltie (who was on fire, their defence was terrified) behind Boyd because, as anyone who reads this column every week will confirm, I have been saying since the last time Boyd was at the club that Greg playing off the striker was a combination that would bear goals…and the goals were forthcoming. 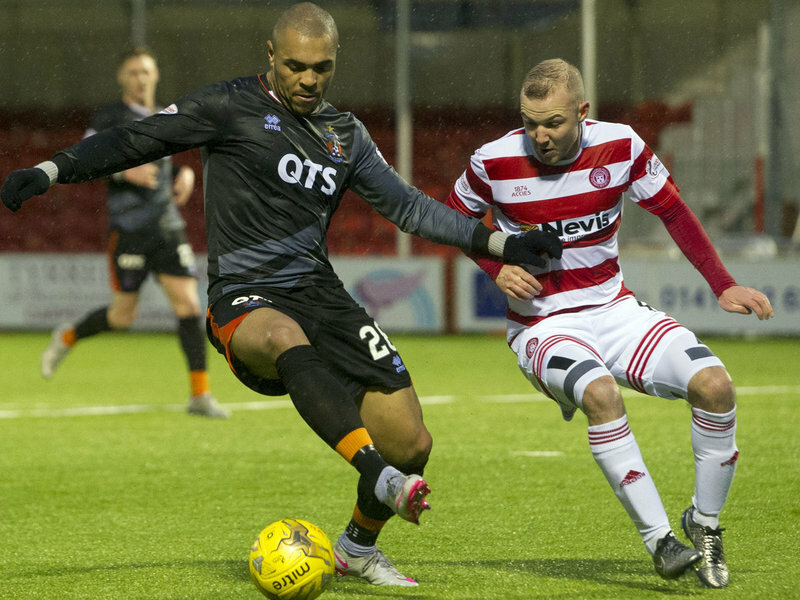 Magennis on the right was also instrumental in the result, which is worth remembering when he comes back from the Euros. Big Josh it would appear will be one of the few who are actually coming back next season as Clarkie swung the axe this week in true Game of Thrones style. We’d be lucky to pull together a fives or sevens side if the season started next week, so we can expect to see a host of new faces come the League Cup fixtures in July. 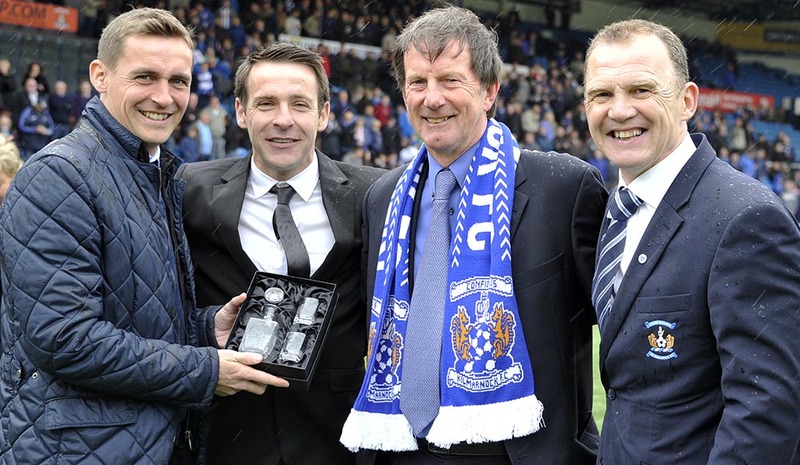 I would hope that two of said faces would be Tank Addison and possibly Hodson what with his parent club being relegated, but that will be down to the persuasiveness of the gaffer as I can’t imagine many would like to go through another season like this one! In the end there were mass celebrations and unbridled joy…but it was relief more than anything and we should have never been in that position in the first place had we changed manager sooner. The board witnessed one of the stormiest AGM’s since the bad old days and it must surely be clear to the majority of them now that if they want thing to ever turn around they have to get Michael Johnston to step down and stay clear of the club. Any good he may have ever done is tarnished by the sheer length of the ‘naughty list’ that has been doing the rounds on the forums and social media for the last couple of years and his very presence is toxic and keeping fans and sponsors/investors away. Shareholders are calling for an EGM to have him removed for the board but at the end of the day it is Billy Bowie who will have to decide what is more important, his working relationship with his partner in the hotel the club used to own or the very future of the club itself. 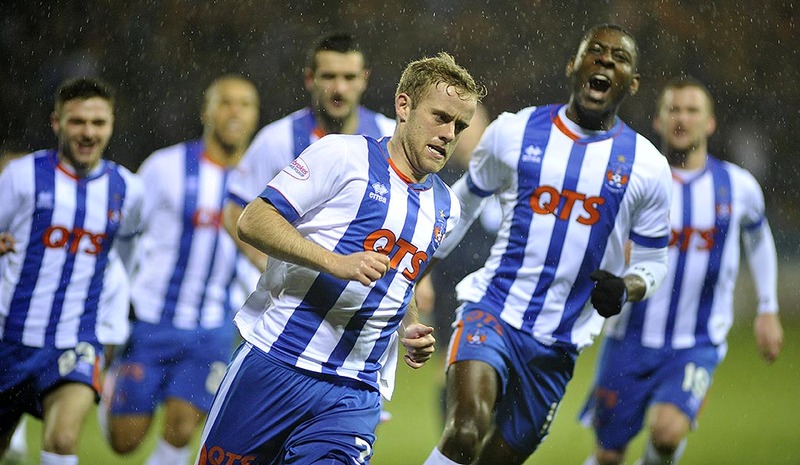 All the Killie goal-scorers are here!